It is Wednesday, November 8, 2017, day-one of the Reinhard Bonnke farewell crusade in Lagos, Nigeria. The massive stage had been set up, security operatives are seen patrolling the freshly bulldozed ground while ambulances and protocol officers take position. Officials of the Federal Road Safety Corps (FRSC) were also busy finding a way to control traffic. Trust Nigerian drivers to be stubborn with some bent on driving as close to the ground as possible. This is going to last for five days and if anyone is getting weary already, now is the time to give up and go home because from what Bounce News saw, it didn’t look like the next four days would be any easier. 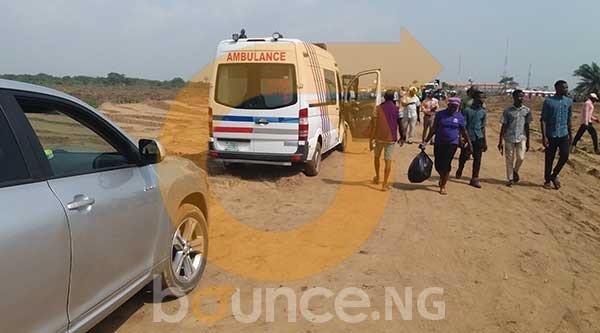 Some crippled, some blind, some bedridden, in their tens they trooped into the massive crusade ground behind Sparklight Estate along Lagos-Ibadan highway. Some of them whispered prayers only they and their God could understand, and they laid on mats they brought from home for their comfort. There were signs that many do not intend to leave this crusade ground for the entire duration of the programme. Miracles they seek and with optimism written on their faces, not even the scotching November sun could deter them. It is now or never. “Reinhard Bonnke does not visit every time but whenever he does, signs and wonders follow him. “And this being his farewell crusade, I know God is here to perform miracles and I must receive my own,” a hopeful woman said. Yes, it is tagged farewell gospel crusade because the world renowned global evangelist is stepping down from active service and any wonder why he chose Nigeria? “Am so glad and honoured that God allows me to come back to Nigeria. It’s my favourite country because I have not seen in other Africa countries what God has done here. “If you look back and watch events in the country, they are absolutely amazing, and I believe every plan of God will come to pass. “The Lord will answer prayers and miracles will happen, people will receive His spirit and through the crusade, there will be positive effect across the whole world,” he was quoted to have said at the press conference on Tuesday. Meanwhile, this is not just about the people’s spirituality or religiousness, it is also about population. “Nigeria is the most populous countries in Africa and I am after people because the more the better. I can smell a ripe harvest as the Lord of harvest directed us,” he said. 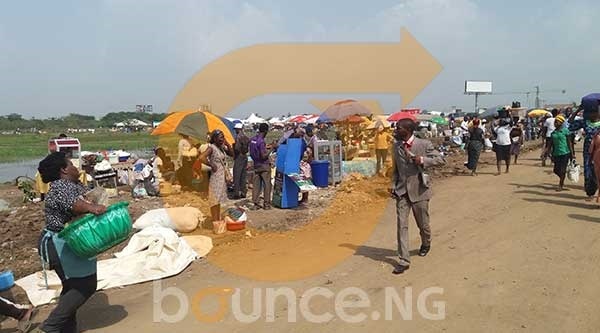 Now, that is the attraction for many Lagosians who thronged the venue on Wednesday to set up shops. There are already over 300 vendors seeking accreditation to sell goods at the 5-day event. So many items are already available on sale; food and beverages, clothes, anointing oil, handkerchiefs, shoes and slippers, umbrella and lots more. You can as well do your Christmas shopping here. One of the food vendors revealed that they were asked to register with the sum of 2,000 naira daily to be allotted spots to make their sales. But at the time of filing this report, the orgamisers were yet to start demanding for the payment, he said. For most of them, 2,000 naira daily is nothing compared to the massive sales they will make during the crusade. But for those selling food, isn’t it risky business believing you can make so much sales when many people could be fasting? They seem to be sure that there will be enough people for everyone to smile home on Sunday. 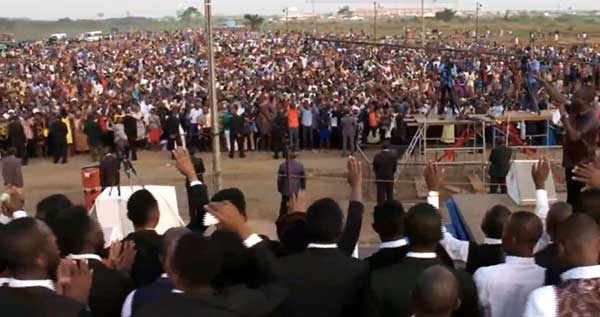 The organisers expect not less than 30 million people to attend the crusade from Nigeria and neighbouring countries and that is an opportunity to make money. While the millions of worshippers troop in hoping for healing, deliverance and liberation, the only miracle these vendors expect is for money to fall on them. So, before you complain about the traffic gridlock that the event may cause, think about the many homes that will feed better this season because of the event.